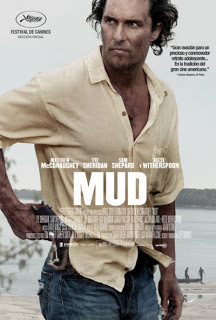 Reparto: Matthew McConaughey (Mud), Reese Witherspoon (Juniper), Sarah Paulson (Mary Lee), Tye Sheridan (Ellis), Michael Shannon (Galen), Sam Shepard (Tom), Jacob Lofland (Neckbone), Ray McKinnon (Senior), Joe Don Baker (King), Paul Sparks (Carver), Tye Sheridan (Ellis), Stuart Greer (Miller). Producción: Lisa Maria Falcone, Sarah Green y Aaron Ryder. Productoras: Everest Entertainment y FilmNation Entertainment.